Fast Camera (Application) — Mobers.ORG — Your Daily Source For Mobile FUN! Taking 800 pictures in a minute might sound insanely fast to you, but that’s what this new iOS camera app is all about. Fast Camera for iPhone & iPad can take pictures at an extremely fast rate, at up to 800 pictures in a minute with superior quality. It lets you capture images using either front or rear camera, and you can also switch between them instantaneously, without stopping the photo shoot. You can take pictures of the finest quality, i.e., up to 8 megapixels. Could it get any better? The app starts taking pictures as soon as you open it, though you can set it to manual from within the settings menu. It’s a great way to create some quick time-lapse sequences. Once you’ve captured all pictures, you can review them before generating the final camera roll. This helps in removing unwanted images before you save them. You can take pictures using both the front and rear camera, and can also switch from rear to front or vice versa while snapping. Photos may be captured in both portrait and landscape orientations. Go to the preferences menu by tapping the icon in the upper-left corner of the screen, and you can change different settings of the app, like Camera Resolution for both front & rear, or default camera. You may also set the delay between each shot that the app takes. 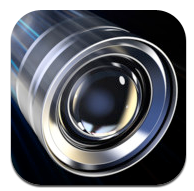 Time-lapse photography lovers will give this app a warm welcome. Not only is the capture speed super fast, but the image quality is likewise remarkable. Perhaps not so feature-rich, but all in all, a great free app to try.